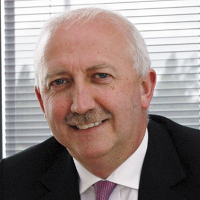 In his latest blog for Infologue.com, James Kelly, Chief Executive of the British Security Industry Association, discusses the ways in which British security is playing an important role on the world stage. “As the UK economy enters a period of growth following a challenging few years, the UK’s private security industry is increasingly turning to export markets to generate new business and support economic recovery. James Kelly, Chief Executive of the British Security Industry Association, explores the ways in which British security is playing an important role on the world stage. “I don’t think it’s an exaggeration to say that five years of economic downturn has irrevocably changed the way UK companies do business. Even in the depth of recession, before economic recovery was even on the horizon, it was claimed that more British businesses had gone bankrupt in the current recession than in any other economic downturn, with almost 27,000 forced to close between 2008 and 2009 alone. Many businesses that have survived have found themselves emerging from the recession changed forever. “As we embark upon Q3 2014, however, I’m pleased to see that things are looking up, particularly in the UK’s private security sector, where the increasingly global market for the ‘best of British’ products and services is creating new opportunities for UK suppliers. “For many members of the BSIA – the trade body representing the UK’s private security industry – exporting was a lifeline during the recession, with demand from thriving markets such as the Middle East enabling growth and prosperity for many British manufacturers. In a recent survey of the BSIA’s Export Council, 80% of respondents claimed that exporting had become more important to their business during the economic downturn, with many reporting an increase in overseas business between 2012 and 2013. “According to UKTI’s security export strategy, the global security market is forecast to rise to £571 billion in 2016 through expected annual growth of 9%, a positive outlook reinforced by the experiences of industry practitioners, 90% of whom expect their company’s export business to increase during 2014, with experience and track record the key factors attracting overseas buyers to UK suppliers. “UKTI figures also estimate that UK security exporters now enjoy a 4.2% share of the global market for security products and services, and certainly within the BSIA, companies are taking proactive steps to increase this even further. Key target markets for members in 2014 include the Middle East, with 90% of exporters looking to increase their business here, while Western Europe continues to generate the majority of regular business. “Timely, then, that the BSIA celebrated the 20th anniversary of its Export Council at IFSEC International this year, which welcomed representatives from UKTI as well as British Embassies in countries as diverse as Romania and Argentina. Since the Export Council was established in 1994, its members have seen an uplift in the percentage of their turnover generated from overseas business, from an average 5-10% in 1994 to as much as 70% in 2014.